Now that my son Lucas is almost 4, I'm introducing him to the movie theater experience - large screen, 5.1 surround sound, popcorn, coke, and sharing the space with large audiences. Also, he loves the trailers (which should really be called "previews", since they come before the movies now, they don't "trail" after...). The most recent screening we attended was Pixar's "Finding Dory", and one of the extras was the world premiere of the new Pixar short "Piper". 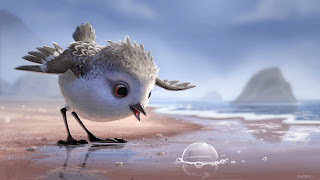 In the past, the Pixar shorts have been very imaginative and entertaining, however this one seemed to be created to test some kind of new digital technique, because there was absolutely no entertainment value in it. Plus, the film was so photo-realistic, it could have been one of the old Disney nature documentaries. The storytelling was nil and it felt like it was created by a robot. 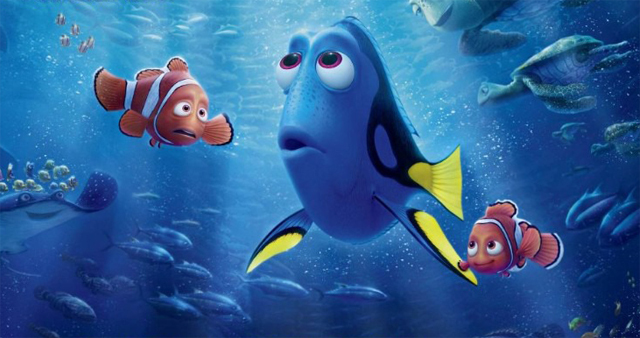 Not so with "Finding Dory", a spin-off of the ever-popular "Finding Nemo", which was very fresh and entertaining. The new film takes forever to get started - it seems like the first 30 minutes of the film are about two issues: #1 - Dory has short-term memory loss, and #2 - she wants to find her parents. How can they waste so much time on such simple ideas? Once it finally gets going, the characters are flat - they don't have the personality of the characters from the original film. Two really lame characters are the whale shark and the beluga whale. A total waste of time, why not bring back the A.A. great white sharks from the original - in fact, my son kept asking, "Where are the sharks?" Although my son liked the film overall, I was very disappointed and felt that "it fell very far behind the original "Finding Nemo", although I hear it's making a tidal wave of money! 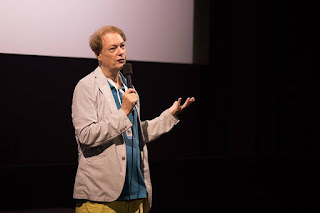 Usually, at this time of year I'd be writing my recap of the Annecy Festival, telling you all what a great time I had at one of my favorite festivals. Sorry, not this year, I didn't have a film in that festival, but I have high hopes for "Revengeance" being able to participate next time! But it's officially summer now, and a lot of other great things ARE going on this time of year. 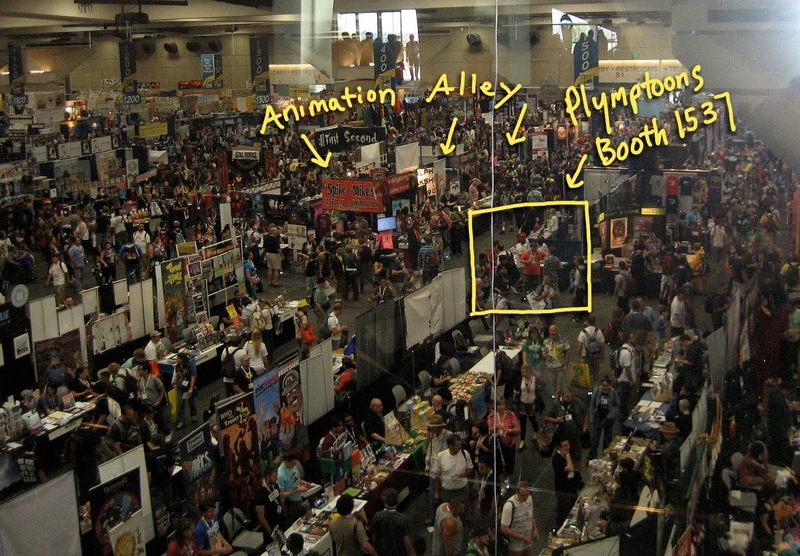 First we've got the great big San Diego Comic-Con, which this year takes place July 20-24. It's later this year than usual, my office manager tells me that it's got something to do with baseball - the convention center and Petco Park share parking garages, so the convention can only take place while the Padres are on a road trip. Weird, huh? That's San Diego for you. This is the view from the mezzanine, facing north. After Comic-Con, I'll be in Portland, OR for a week, just to visit family and friends, and then in August, I'll be going to France for a week, to visit my wife's family. No screenings planned on these trips (yet), for once these are genuine vacation trips! Please check the festivals' web-pages for exact screening dates and times. Get yourself out to a comic-con or a film festival near you and start having a good time! Enjoy the summer, everyone! Whew, it's over! And I survived! I'm writing this on the day after my world premiere of "Hitler's Folly" at the prestigious SVA Theatre. And the reaction was terrific - no assaults, or verbal abuse, only laughter and applause. In my early career as an illustrator and cartoonist, I loved to push the limits of good taste, and try to shock people. I found that my cartoons were much more effective if they were scandalous. At the same time, I was working for National Lampoon and that was their in-house style, to shock and disturb. 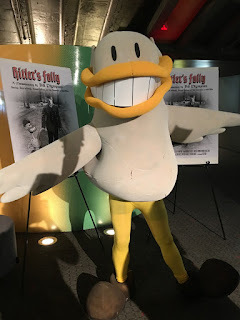 In fact, they once published a book of cartoons called "Hitler's Favorite Cartoons". I loved their style of humor - after all, I grew up enjoying Charles Addams' cartoons, they were always irreverent, too. 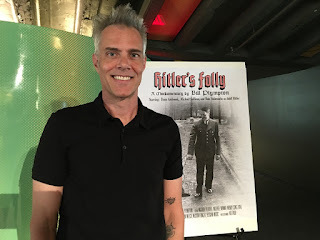 So, when I got the idea for "Hitler's Folly", a mockumentary about an alternate world, where Hitler got accepted into the art academy and ends up being a very successful cartoonist, I thought, "This is perfect for me!" A few years ago, I made a very popular short film called "Santa, the Fascist Years", which took a much-loved character, Santa Claus, and turned him into an evil dictator. 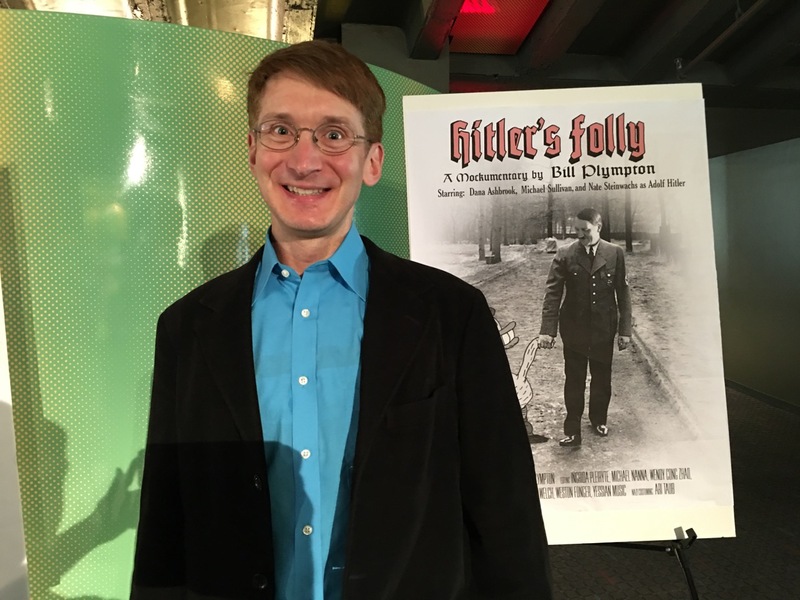 For "Hitler's Folly", I switched the roles and had an evil dictator become a kind, lovable artist. I find a lot of humor in taking something iconic and turning it into its opposite. It's a form of ironic humor. 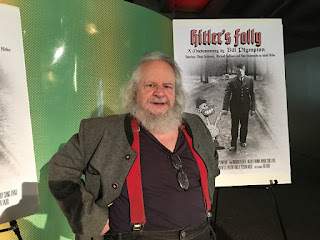 But a few people who saw the rough cut of "Hitler's Folly" expressed fears that my career would be over and the Jewish Defense League would rough me up at the screening. So I didn't know what to expect as the movie-goers filed into the SVA Theatre to watch the world premiere. 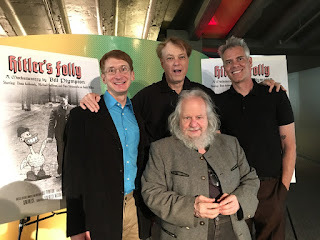 Before the screening, with the cast of "Hitler's Folly"
As they entered the auditorium, I wondered to myself which of these people are "politically correct", or have no sense of humor and might be out to get me. Maybe one of them is wearing an explosive vest or something, it's not like I can afford bomb-sniffing dogs or metal detectors at the door. 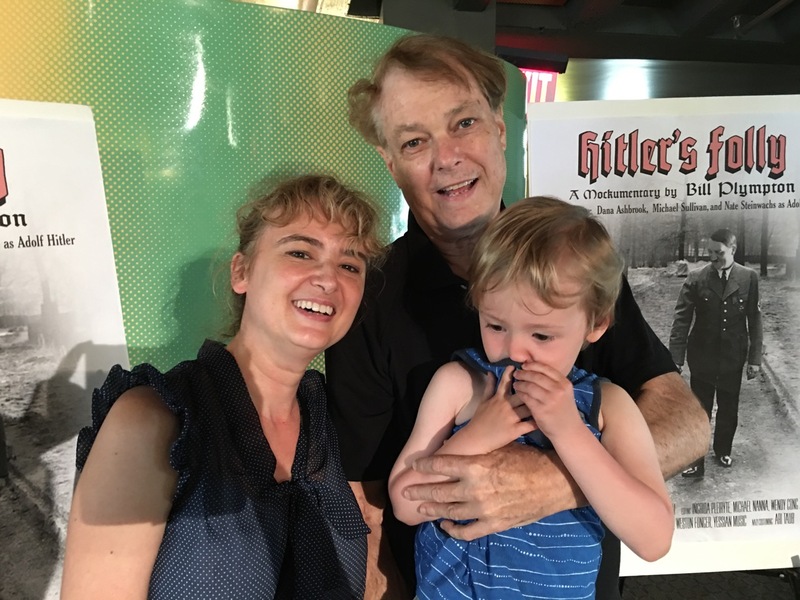 After all, three of my artists refused to work on my Hitler film and preferred to resign from the studio instead. 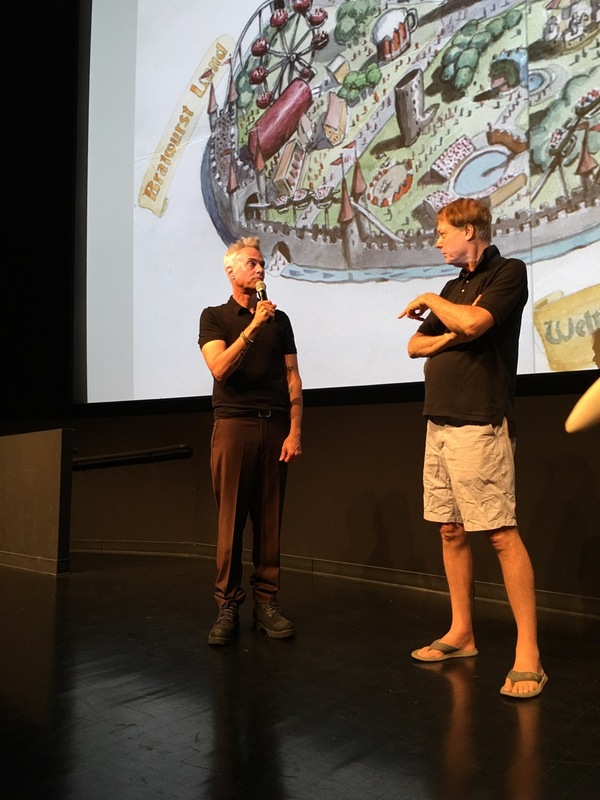 As I stood on the stage and introduced the stars of the film, I felt a little more comfortable from the polite applause. Also, it helped that we had a live version of the cartoon character, Downy Duck, milling around the cinema and on stage, dancing and mugging for people. He added an air of absurdity and fantasy to the evening. I want to thank the staff and crew at the SVA Theatre for a great job, and also Emma Griffiths and John Holderried for their help in putting this wonderful event together. 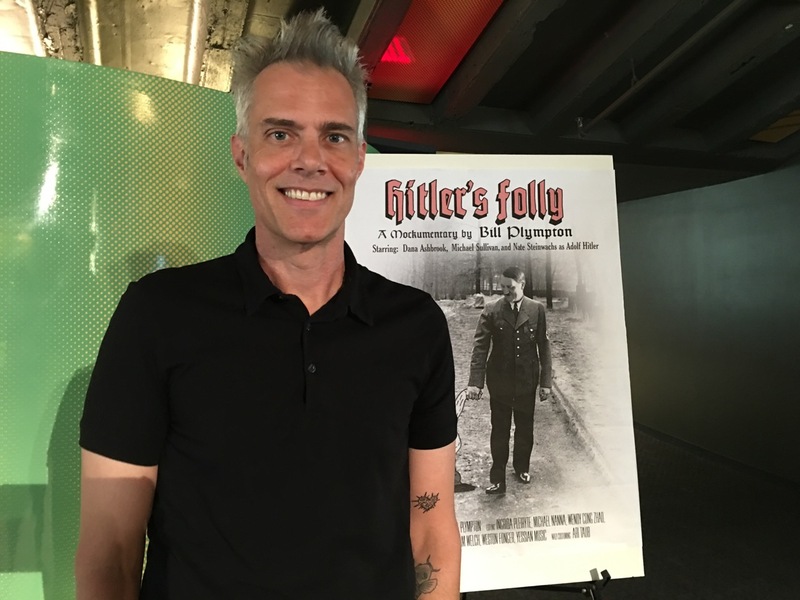 And my thanks to Adam Rackoff for taking these great photos! VIS stands for Vienna Independent Shorts - it's a film festival that's been around for about 13 years. Apparently, last year David OReilly and Don Hertzfeldt appeared there and sang my praises - for whatever reason, I don't know. 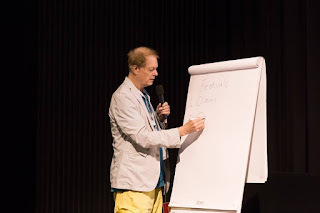 In any case, the Austrian Film Museum invited me to come this year and do a retrospective screening and a master class. I'd heard great things about Vienna, and thought it would be fun to visit. So here I am, I'm writing this while on an AirBerlin flight returning from my 4-day visit to VIS. They put me up in a fancy, yet wackily-hip hotel called 25 Hours. 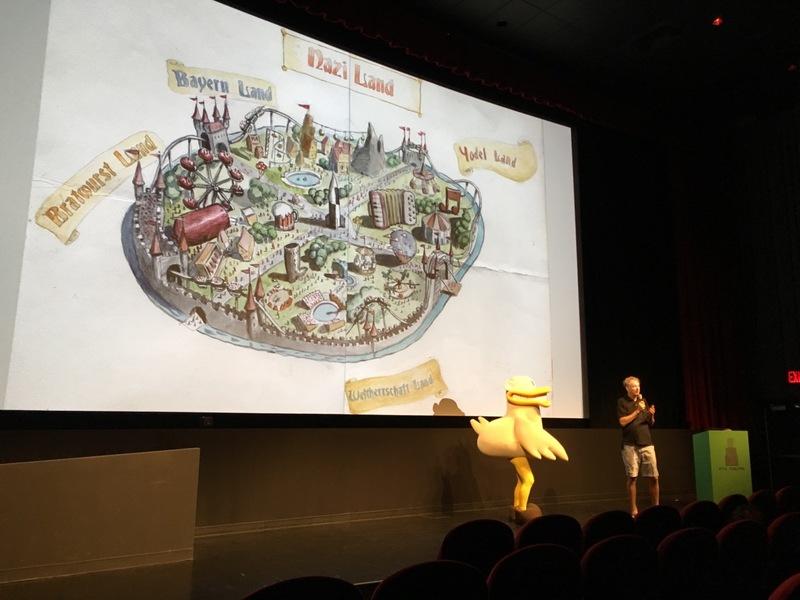 The festival opened with a celebration of my birthday on stage, after screening my latest "Simpsons" couch gag. I was caught by surprise, partly because my birthday was a month ago, and also because they gave me a cake with a cow on it, and it was the cow from my film "The Cow Who Wanted to Be a Hamburger", along with two large roman candles. My three shows were big successes, because I had packed-house audiences and sustained applause throughout - this is what I live for. But also, I was able to check out the robust cultural scene in Vienna. The Belvedere Museum, which looks a lot like Versailles, had a couple of famous Gustav Klimt paintings. Then I visited the Leopold Museum, which contains the largest collection of Egon Schiele artwork, and I must admit that right now I'm a freak for Egon, especially his drawings. They're so evocative and distorted, yet are anatomically correct. I'm considering using his drawing style for my next feature film. Other highlights were the Austrian Congress building, where Hitler once gave a speech from a balcony where he claimed the conquest of Austria, in front of thousands of adoring Viennese fans. And then, of course, the Austrian Academy of Art, which rejected Hitler's portfolio when he applied for enrollment to art school, which subsequently led to him trying to dominate the world. Be sure to enter your short films there, it's a great experience. 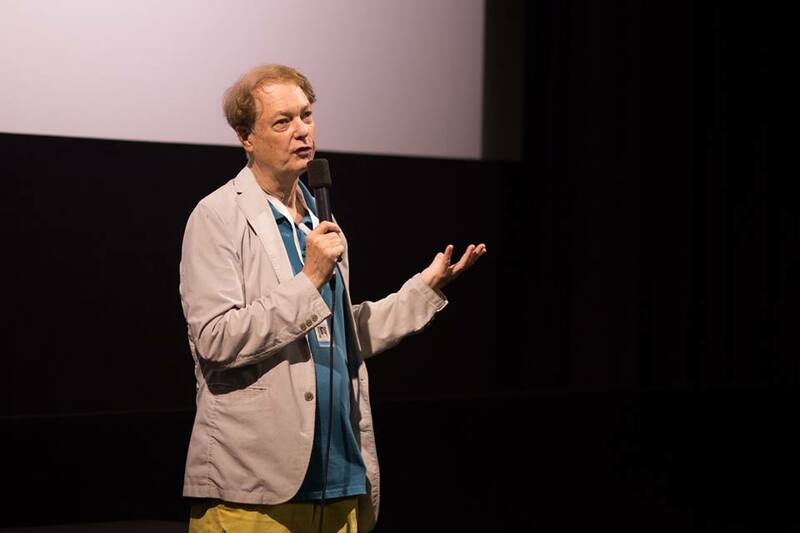 And my thanks to the Austrian Film Museum for arranging my appearance, and for the great photos!